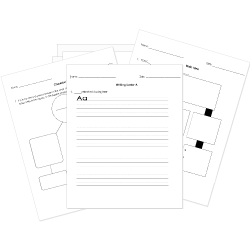 You can create printable tests and worksheets from these Grade 6 Adjectives questions! Select one or more questions using the checkboxes above each question. Then click the add selected questions to a test button before moving to another page. I really enjoyed her COLORFUL descriptions of the wildlife. The neighbor's dog was annoying because he would not stop barking. The adjective in this sentence is barking. Desert dwellers live where there's barely relief from high temperatures. Our SMALL class has studied women's rights. The weather today is more good than it was yesterday. The words are a GREAT record of her ideals. One question adjectives answer is "What Kind?" Which of the following is the correct comparative or superlative form of the adjective in parentheses? That play was (difficult) to understand than the others. The color red is not an adjective. Identify the adjective in the sentence. Juan handled the breakable glasses very carefully. Choose the correct form the of the adjective in parentheses. Thomas Jefferson made his (good) offer for the land. What is a special type of adjective that follows a linking verb and modifies (directly refers to) the subject of the sentence? Read the following sentence. Which word is a demonstrative adjective? I have that poster hanging in my room. Surprised and excited, Vanessa screamed with happiness when she found her dog. The police gave Tom a citation for his brave rescue. Read the following sentence. Which word is a proper adjective? Seven students did not qualify for the trip to France. How many adjectives appear in the following sentence? That apple, glossy and red, rolled out of the grocery bag and across the smooth table.